MCreator is program used to make Minecraft mods without programming knowledge and is developed by Pylo. It's very simple to use, and the program's concept is easy to learn. MCreator is a program used to make Minecraft mods without programming knowledge and is developed by Pylo. It's very simple to use, and the program's concept is easy to learn. The main goal of Pylo to develop such program is to enthuse younger generations for programming, software development and with support for Arduino and Raspberry Pi, hardware development too. Even children can use it and as it allows the insight in the code it generates, they can learn the basic concepts of programming with it. 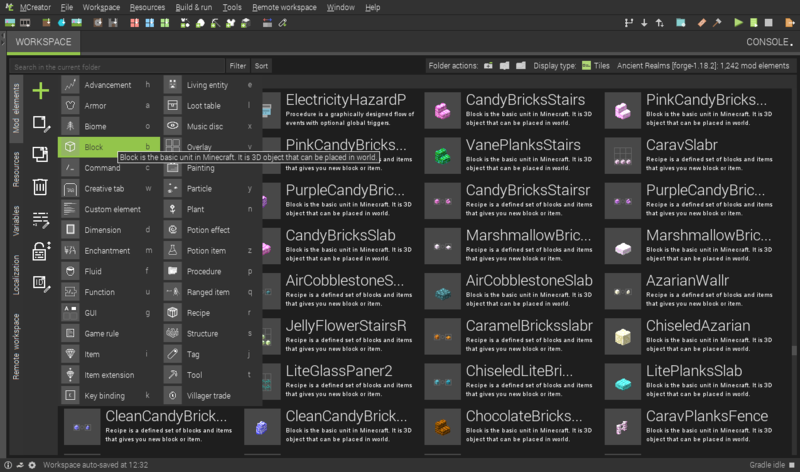 MCreator offers you many tools to plan, create and edit resources for your mod. It also provides you a resource list so you can quickly navigate through your resources and sort, modify or remove them from your mod. MCreator contains advanced event system which allows you to define complex actions that happen when a user triggers an action inside a game. You can assign events to a specific item, block, mob, dimension, but you can also assign global events which are triggered by global actions such as weather change. Good for beginners and for advanced users. 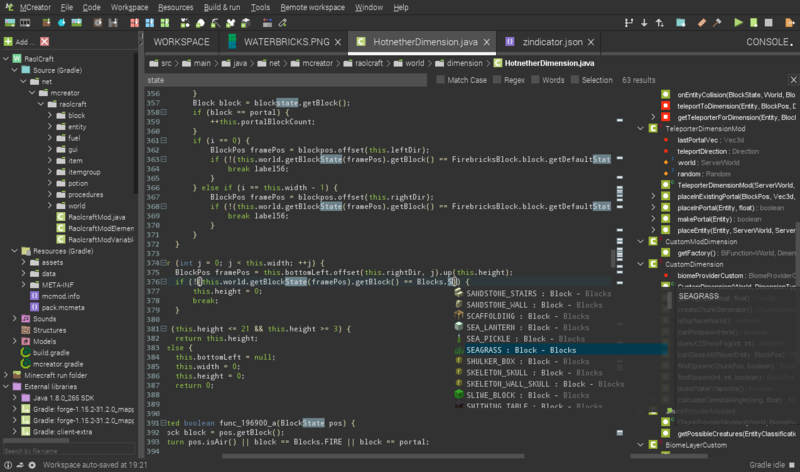 With its advanced code editor with a jump to declaration, autocomplete, automatic code assist and many other advanced IDE features, you can make professional modifications only using MCreator. It also provides insight into decompiled code including searching through the whole codebase. Debug your mods with a color-highlighted debugging console. 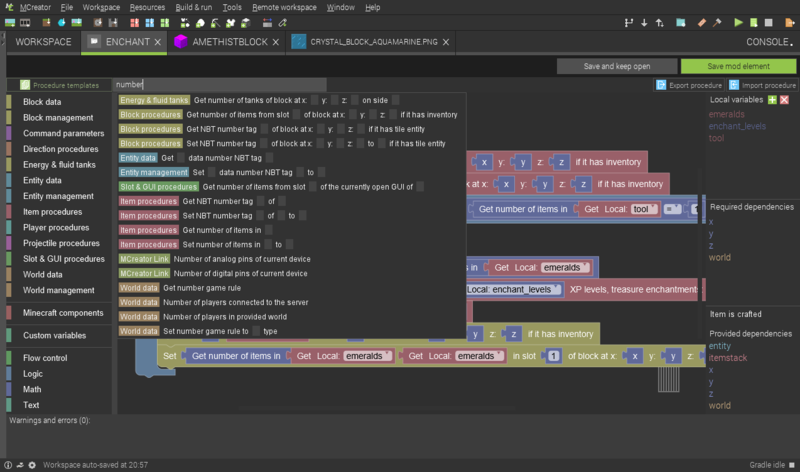 MCreator takes care of all the dirty work of compiling, obfuscating and packing generated code and your resources and logs all the events in the console so you can always keep a track on what's happening and what problems have to be resolved or what has to be improved. In the case of syntax errors, MCreator will provide you links to jump on the code line of the error.